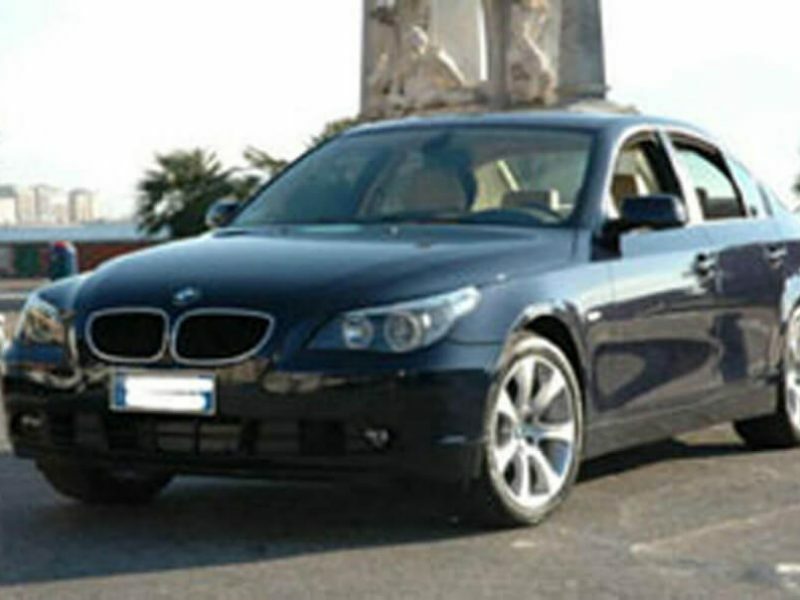 You can book the transfer to Ischia for one or more persons of the same group and for the same hotel or apartment. It is possible to do it every day during the week in coincidence with all the flights with arrival in Naples Airport Capodichino. 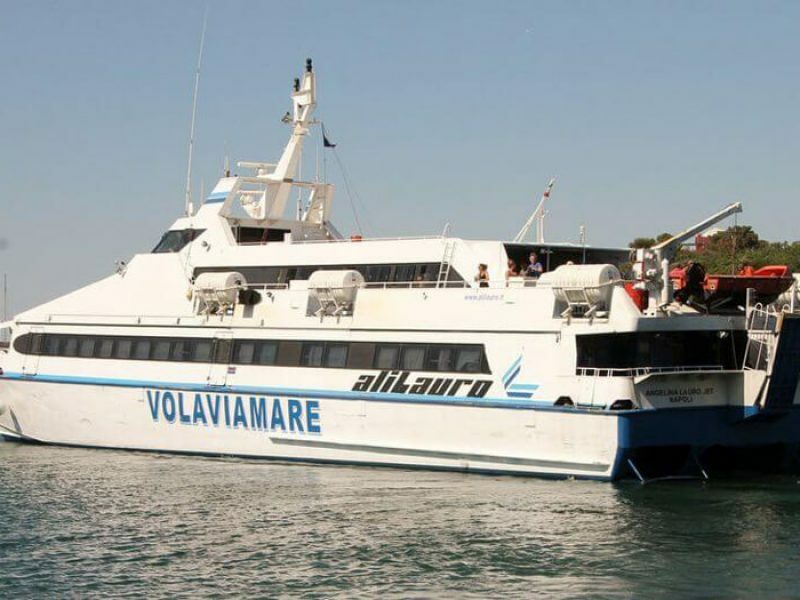 Please consider that the transfer for the island Ischia is possible only if it is compatible with the sea transportations timetables. 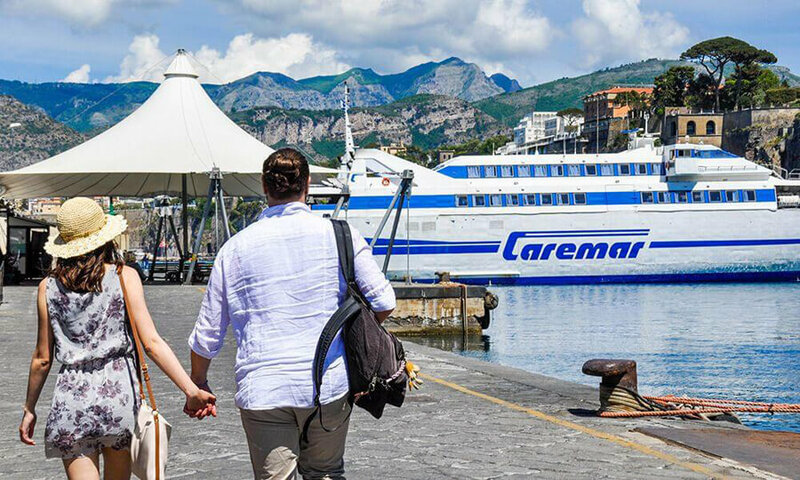 Description of our service: Once you have your luggage and you leave the arrivals room at the airport you will find a member of our staff waiting for you with your name on his clipboard that is going to bring you to the car/minibus for your transfer to the harbor of Naples. 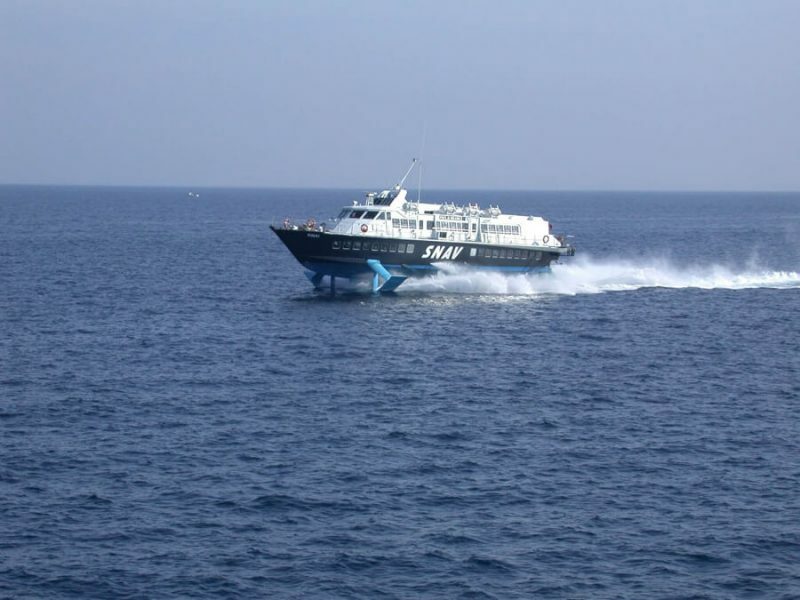 Then, you will receive your ticket for the ferry / hydrofoil (you will take the first available ship for the islands). Approximate sea crossing time 50 – 90 minutes. 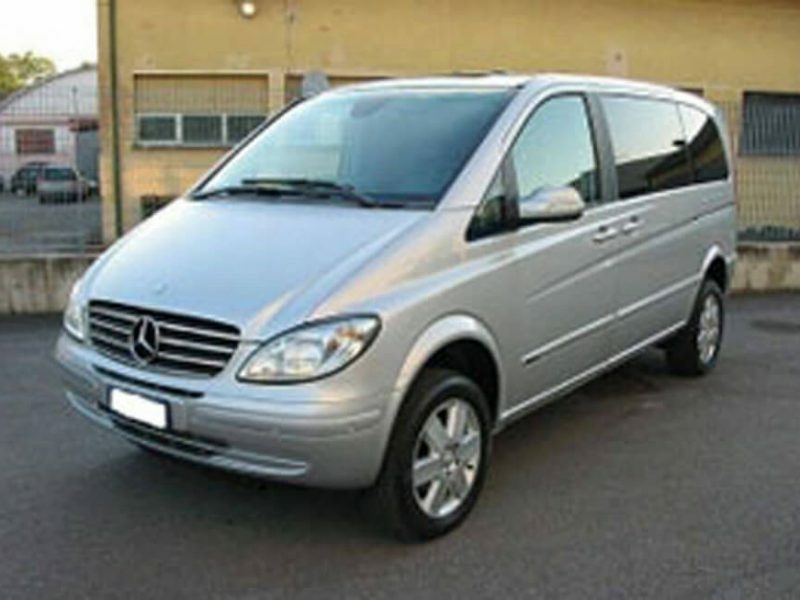 Once in Ischia, you will find a member of our staff with the car/minibus to bring you to your hotel. 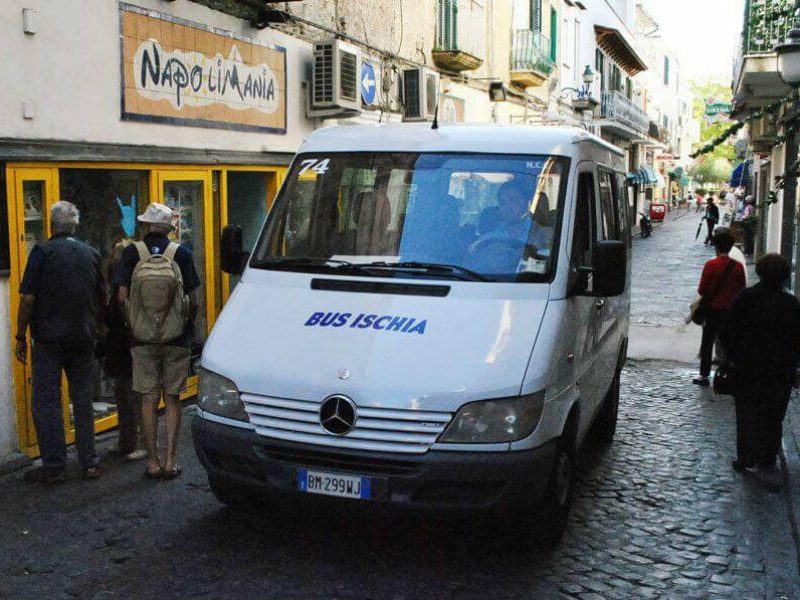 Please note that in case of the hotels that lie in pedestrian areas or in the center of Sant’Angelo our transfer service will finish at the beginning of the pedestrian zone. In Sant’Angelo there is a porterage service available. 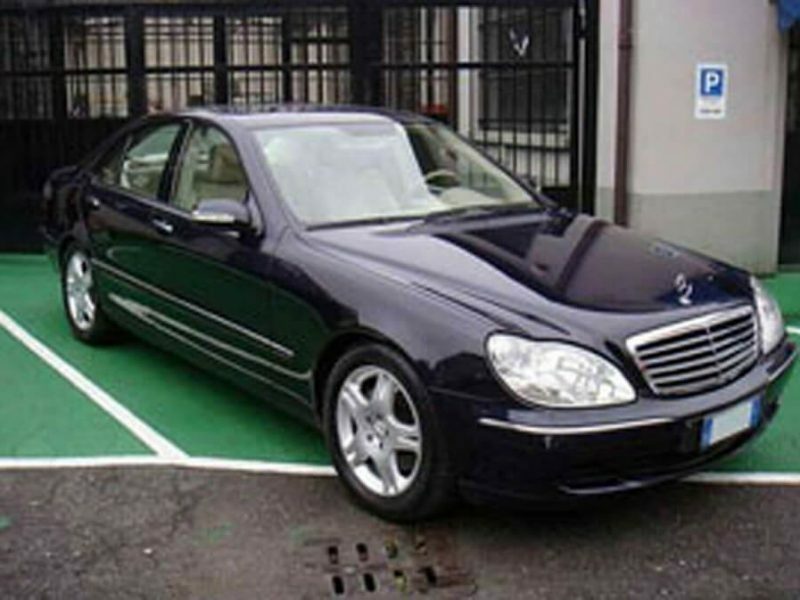 The price for this service is to pay directly there since it is not included in our transfer service. 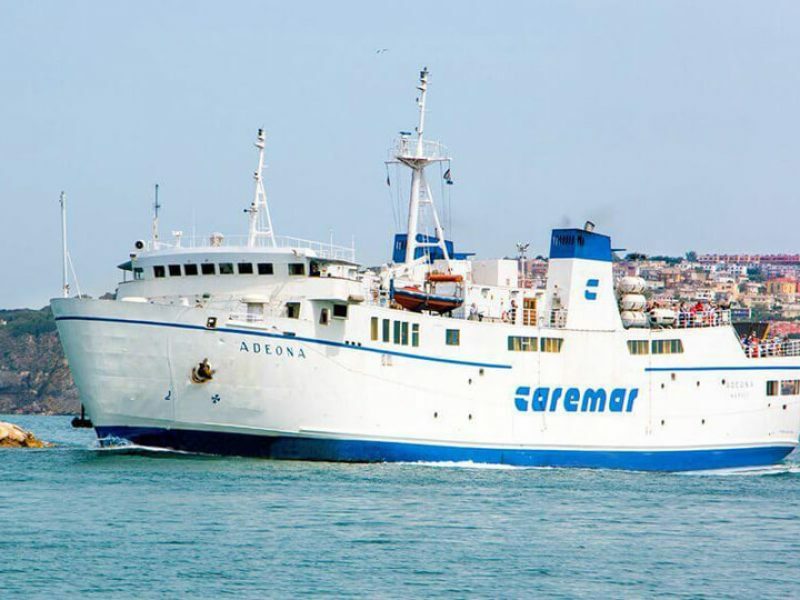 Please consider that for technical reasons, in case of adverse sea conditions, or because of better communications, your transfer will be with ferry. *The description of the retour transfer is the same but backward. 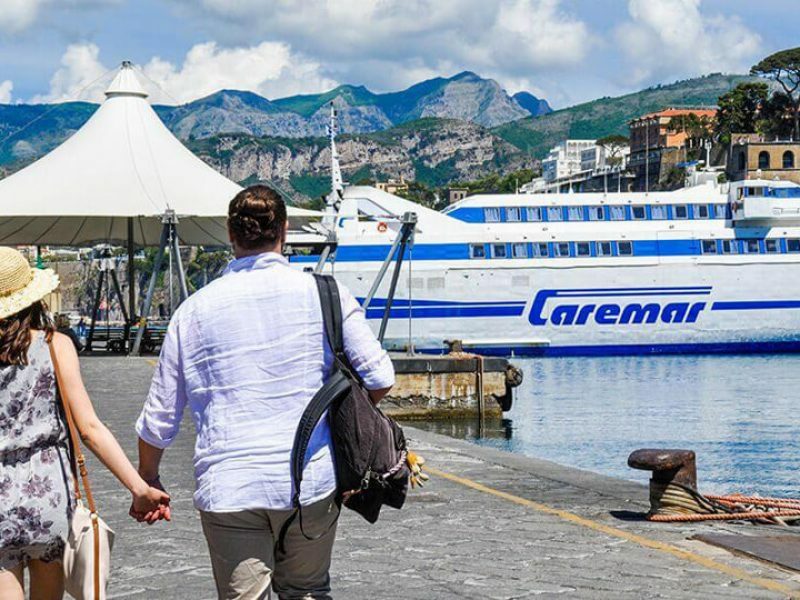 The price includes: private car/minibus in Naples, sea crossing with hydrofoil or ferry, shared car/minibus on Ischia , transportation of your luggage with the hydrofoil/ferry (1 luggage for each person). Please note: this transfer is possible only for flights arriving the Naples airport between 06:30 a.m. and 20:00 p.m. or for departure from Ischia with the flights leaving between 09:00 a.m. and 23:00 p.m from Naples Please note that the last ferry from Naples for the island is approx. at 21:00 pm. And the first from Ischia to Naples is around 06.30 am Our company declines all responsibility for not reaching the island or Naples caused by possible flight delays, bad sea weather conditions or any other event not attributable to our services or our will.